While I was home last weekend, I enjoyed the time I got to spend with my mom and brother. One day, Adam came home after work and left his boots by the back door since he had been out doing field work that day. Within a few minutes, my cat Izzy found those boots. Apparently, Adam had walked through something that smelled really good to felines. 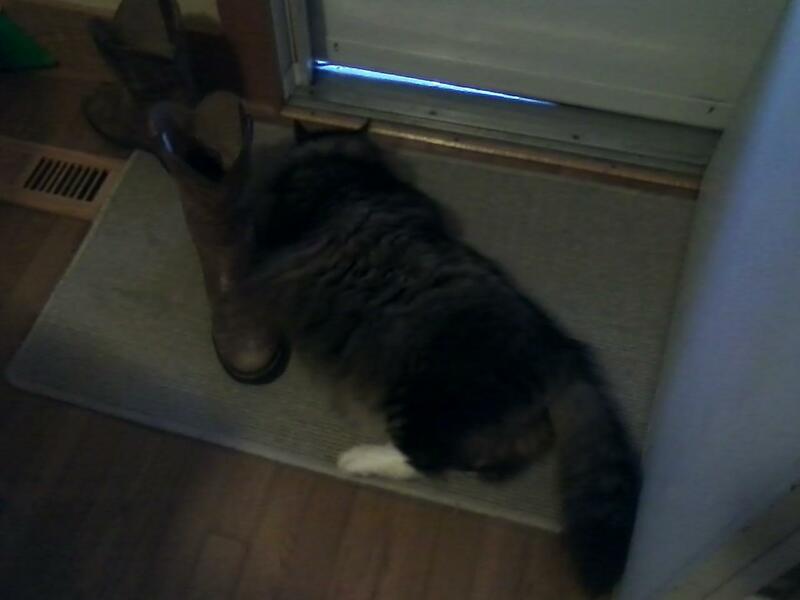 Izzy spent the next 20 minutes sniffing, rubbing his head on, and hugging my brother’s work boots. It was quite a funny sight. My theory is that he must have unknowingly walked through a field of catnip.